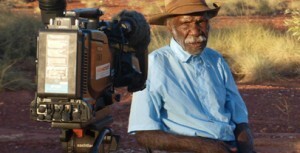 Francis Jupurrurla Kelly, a key figure in the development of Warlpiri Media Association has been awarded the 2011 Tudawali Award at the Message Sticks Film Festival at the Sydney Opera House tonight. The award is given to an individual who has made a significant contribution to the development of Indigenous media or the creation of a landmark body of work in film and television. Francis is recognised for his roles in films such as Bush Mechanics and Aboriginal Rules and was awarded an AFI Award for Bush Mechanics in 1999. He has also received the Troy Albert Award for Best Cinematography, and the Preston Memorial Award for Life Time Achievement from the Indigenous Remote Communications Association. Francis is a Board member of iCTV (Indigenous Community TV) and was a founding Board member of NITV (National Indigenous TV). Francis began his work in media in 1984 when he initiated the Yuendumu Television Project with Eric Michaels. He continued this work, including video production and regional training, until he decided to 'finish for respect to Kumanjayi' withdrawing from media work for a period in 1988 when Michaels passed away. In 1987, Francis participated in the production of a large collaborative ground painting at the George Pompidou Centre's 'Magicians of the Earth' (Magicien de Terre) with other elders from Yuendumu. It was Francis and then Manager Tom Kantor who came up with original idea of portraying Bush Mechanics on film. David Batty, who had worked on the award winning Manyu Wana series, was brought in to co-direct the original episode with Francis. After the success of the original episode, Francis and David continued their collaboration and co-directed the highly popular 4 part series for ABC. 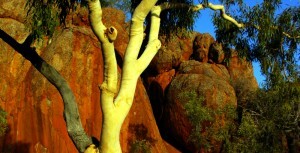 The Award is named in honour of Robert Tudawali (1930-1967) who was born on Melville Island in the Northern Territory. He worked for both the air force and the army during the Second World War. After the war he became the world's first Aboriginal film star. He had one of the main roles in the film Jedda, which was first shown in Darwin in 1955. He then starred in the movie Dust in the Sun and in many television films in the 1960s. He spent the last years of his life as a spokesperson for the Gurindji people at Wave Hill, who were fighting for land rights and better conditions. Previous recipients include Freda Glynn, Lester Bostock, Justine Saunders, Dot West, Rachel Perkins, David Gulpilil, Noeli Roberts (of Ngaanyatjarra Media) and Jack Charles. PAW Media's David Slowo produced a short compile of some of the work for which Francis is most well known. The compile was played as part of the presentation of the Award. Aboriginal and Torres Strait Islanders should exercise care in viewing as the item contains deceased content.